The first video shows the application of Hylomar M on an industrial gearbox, with detailed technical information including usage rates and application method. Currently these videos are being translated into 6 different languages – German, Chinese, Japanese, Spanish, Italian and French – to support the growth of the brand in these markets with the most recent venture into the Japanese automotive aftermarket. Hylomar Limited manufactures a wide range of high performance sealants and adhesives used by some of the leading OEMs in the world of automotive, aerospace and power generation. Hylomar products are also widely used and respected in the automotive, aerospace and industrial aftermarkets with Hylomar M probably being the leading non-setting gasket & jointing compounds in the world. 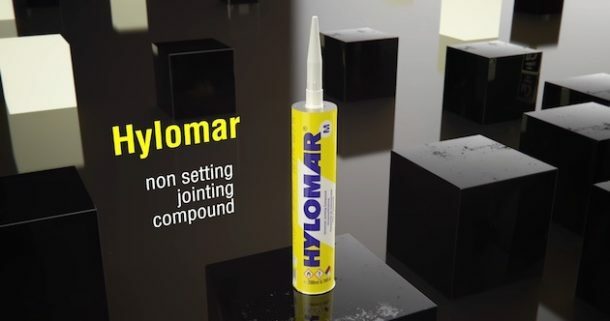 Unlike many other sealant and adhesive companies, Hylomar is a manufacturer and a product formulator. Therefore, if commercially viable, it can develop products to specific customer requirements.